Mitt Romney's colleagues truly loathe him. When John McCain fields questions about the former Massachusetts governor, you can see his smile tighten and that famous rage begin to well. Or take the healthy dose of gratuitous gloating that emanated from Mike Huckabee's camp upon Romney's second-place finish in New Hampshire, when the Arkansan's aides openly relished the fact that Romney squandered millions of dollars and even vastly more precious neighborly good will. And, at Republican debates, the field seems to joyfully gravitate to kicking Romney, like five-year-olds chasing a soccer ball. You can understand why candidates might enjoy this sport. Romney is the annoying rich guy, who, in an act of incredible beneficence, has donated millions to himself. And he's not just richer than them. He's unbearably unctuous—the Arnold Horseshack of the race, furiously waving his hand to grab the teacher's attention. When McCain decried pharmaceutical companies, Romney couldn't help but interrupt to defend what he sarcastically called the "big bad guys." It takes a particular kind of man to rise to defend the honor of the drug companies like this. When Mitt Romney entered the race, he held great appeal. Here was a technocrat who would even break ideological taboos for the sake of the common good, as he did when he signed universal health care reform into law in Massachusetts. In the wake of the Bush era, technocracy seemed like a nice way to do business in Washington. But, for all Romney's vaunted command of data and facts, he can't even get the facts about his own life straight. Like the time he pronounced himself a lifelong hunter, despite only having hunted twice (and only "small varmints"). Then there was his boast that he "saw" his father march with Martin Luther King, even though he never watched his dad's civil rights activism with his own eyes. Or the time he claimed an NRA endorsement that he never won. Campaigns are, of course, grueling ordeals. And we have sympathy for candidates who misspeak as they give their twelfth stump speech of the day. Nor do we care to hang candidates for trivial exaggerations, like the media mob that set out to get Al Gore. 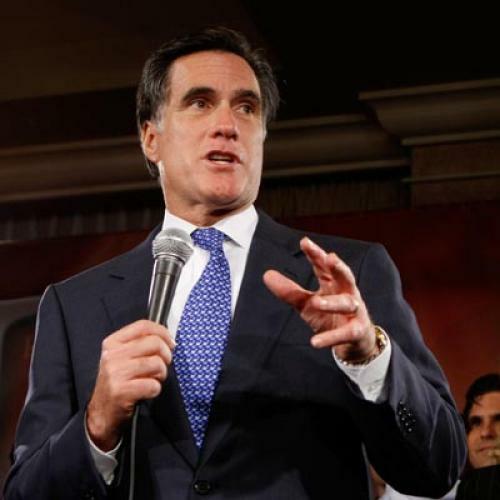 But there's a difference with Romney: He exaggerates because he seemingly holds nothing sacrosanct. He has no core beliefs—not on abortion or gay rights or health care reform, that's for certain. Here's our definition of a demagogue: someone who holds no core beliefs yet will pander to the irrational fears of the masses to advance his own personal interests. And here's why, like McCain and Huckabee, we break into a rash at the sight of Romney: More than any candidate, he has played a historic role in whipping up the national frenzy over immigration—not out of conviction but a demagogic impulse. Some backstory: For the past few years, Lou Dobbs and Colorado Representative Tom Tancredo have been hysterical about the massive influx of immigrants from the south. Yet, for all their overheated rhetoric, the issue never really had the imprimatur of the Republican establishment. George W. Bush especially performed the noble task of tamping down the backlash, attempting to channel the growing hostility into the reasonable compromise that was the McCain-Kennedy legislation. Once upon a time, Romney declared this bill "reasonable," too. But then came the caucuses in Iowa, where polls showed that a large number of Republicans shared the Dobbs-Tancredo view of the world. And Romney planned to build his presidential ambitions on the back of a victory in the Hawkeye state, so he began denouncing and distorting McCain-Kennedy as "amnesty." To stomp on Rudy Giuliani, he began routinely describing New York as a "sanctuary city." He invested considerable sums in ads that portrayed Huckabee as a bleeding heart who would open the state's coffers to any illegal immigrant. Thanks to Romney, all the code words of the Minutemen and their ilk suddenly entered the vernacular of presidential politics. So, it is with particular joy that we're watching the Romney flame-out. He's isn't just wasting his own fortune. His spectacular failings have embarrassed the large swath of the conservative establishment that rallied to his side, even though John McCain or Fred Thompson made for a better paper match. It will be particularly comic to watch these conservatives scramble to expunge their Romney endorsements from history and ingratiate themselves with other campaigns. Yet, we can't fully savor the moment. Although Romney might not profit from the mania he has helped foment, the mania is real and will continue without his investments in slimy ads—contributing to an environment that precludes the sort of sensible policy the nation deserves. That's a cost no amount of schadenfreude could ever justify. This article appeared in the January 30, 2008 issue of the magazine.